The Northern Alps is a treasure trove of giant massifs (Mont Blanc, at 4808 meters, is the highest mountain in western Europe), Alpine lakes and glaciers, and historic Tour de France climbs (you’ll be climbing the Madeleine, Glandon, Alpe d’Huez and the Cormet de Roselend to name only a few). We have also scoured the area to find a few roads that only locals ride. HighRoad Northern Alps has been years in the making and couples perfectly with our original Alps tour – HighRoad Southern Alps, giving returning friends the opportunity to cross the entire Alps range by doing these two tours with us. HighRoad Northern Alps begins with perhaps the most famous climb of them all – Alpe d’Huez, where we’ll spend a couple of days getting to know the area. From The Alpe we head north for several days of riding up high Alpine cols and descending into glacier-fed valleys. Our tour finishes in the pretty town of Annecy, with it’s famous lake and magnificent mountain views. Like our other HighRoad tours, once you arrive in the mountains, you will be on your bike, not sitting in a van – after your airport pick-up (Geneva) there are no more transfers until you fly back home. 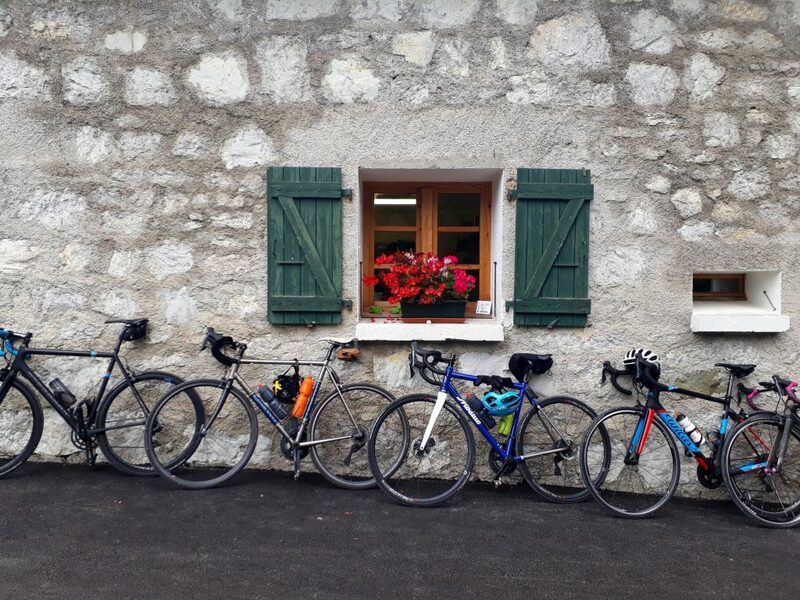 HighRoad Northern Alps is one of our ‘Hors Catégorie’ tours, which are reserved for strong riders who can handle multiple days of long distances and sustained, steep gradients. Your typical day in the Northern Alps begins with a healthy buffet breakfast, followed by a ride in these beautiful mountains. Most rides will end back at your hotel (or the next one along the route) for a post-effort lunch. However, on longer days in the saddle (Day 5 and 7 for example) it will be a quick – and light – lunch on the road. You will always have a few hours in the afternoon to relax and explore your surroundings before we meet for a dinner of delicious local fare. 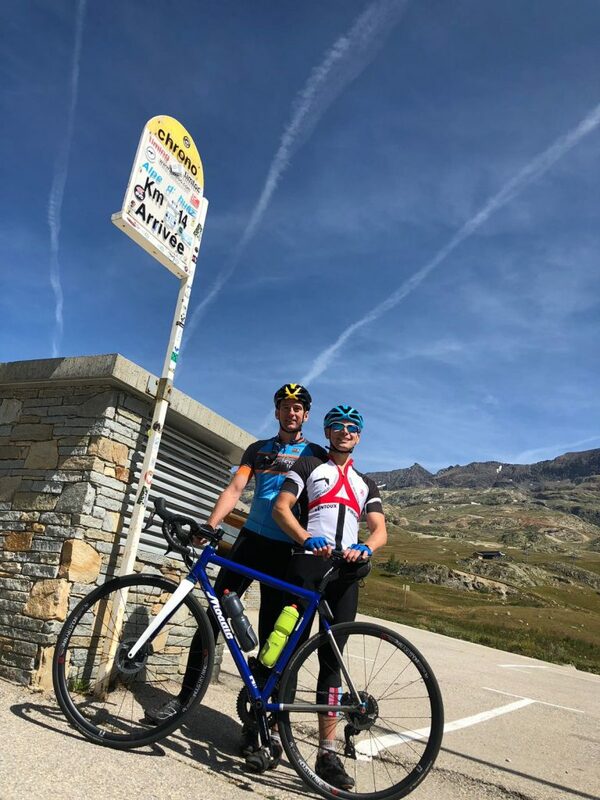 Your bike tour begins at Geneva airport, where we’ll pick you up and transport you to your luxury hotel perched at the top of the 21 hairpins of Alpe d’Huez. 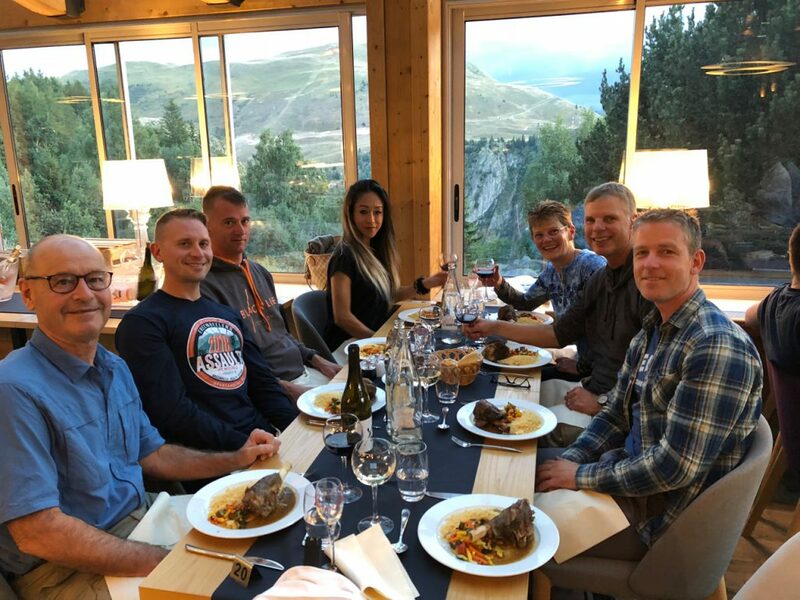 After setting up your bikes and taking a “shake-out” spin up a local col, we will have a ‘welcome dinner’ and talk about the amazing rides to come. We dive right into the legends and lore of the Tour de France today with a loop that will take on two ’balcony roads’, hanging high above the Romanche Valley, with your first series of spectacular views. The ride ends – just like a Tour stage – with a climb of those famous 21 hairpins. Tonight we walk into the village center for some great local fare. We leave Alpe d’Huez this morning by the one more balcony road, descending into the valley before our 2nd Hors Catégorie ascent of your HighRoad tour – the Croix de Fer / Glandon double. 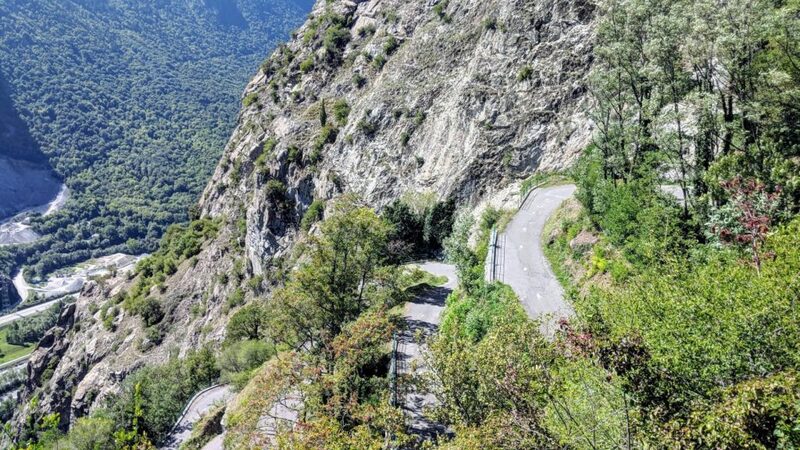 After enjoying the amazing views from atop the cols, and maybe a hot coffee, we’ll descend to the Maurienne Valley and climb the Lacets de Montvernier, an outrageous series of mini switchbacks that will take your breath away. From the top it’s a short descent to our hotel in St. Jean de Maurienne. Our gastronomique dinner is a short walk from our hotel tonight. 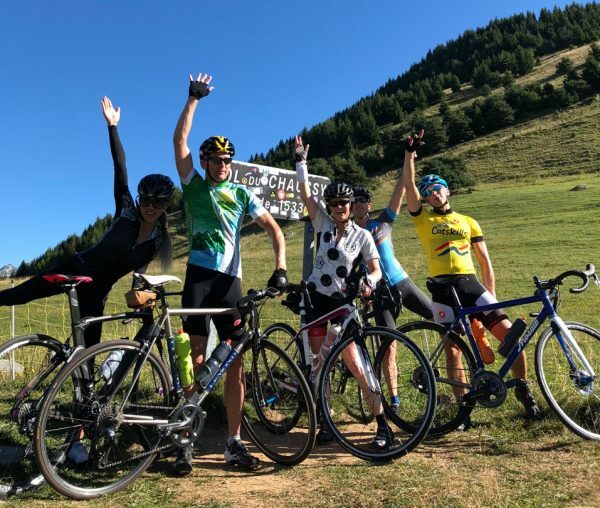 More legendary riding on Day Four, as we ride the Col de Chaussy (one of the most beautiful in the Alps) and Col de la Madeleine to take us north into the Tarentaise Valley, famous in winter for its swanky ski resorts. After a tour of the western end of the valley we’ll land in the pre-Roman town of Môutiers and our hotel for the night. Tip: look for views of Mont Blanc on the top of the Madeleine. If it’s not covered in clouds you won’t be able to miss it! We dine outside on the town square this evening. As we slowly move northward the dominance of the immense massif of Mont Blanc comes into full view. Our ’Queen Stage’ today starts with a quiet climb on a tiny road that will be sure to warm up the legs (there are more switchbacks than Alpe d’Huez! ), followed by a high-ridge ride offering excellents views. 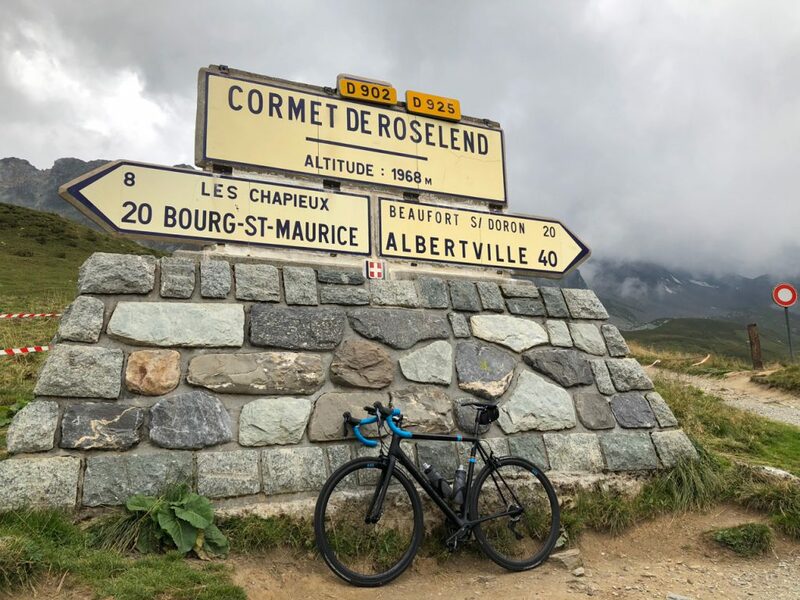 From here it’s up to the high-altitude lake of the Cormet de Roselendand then the Col des Saisies – both surrounded by a beauty only the Alps can produce. 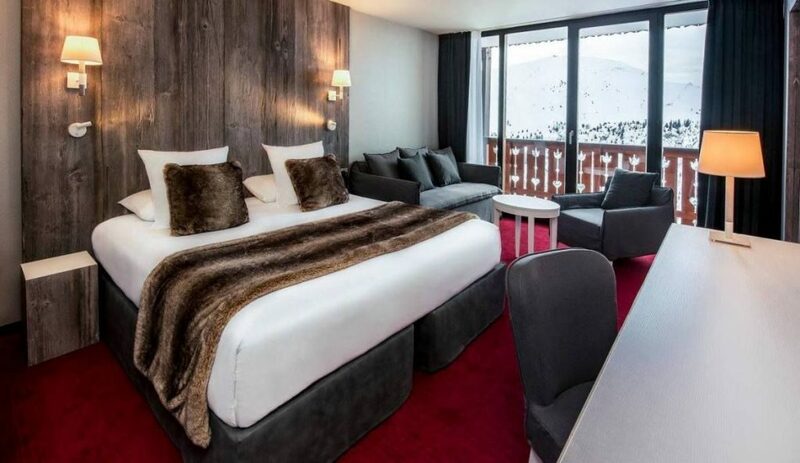 Finally, we climb to the trendy ski town of Megève and our chalet-hotel for the next two nights. Tonight we eat at our hotel. Today we stay put in Megève and do a fantastic loop that takes in only one real climb, but what a climb it is! The Col de l’Arpettaz is a real hidden gem and one of the prettiest and quietest climbs you can find. It is also tough, at over 15 km and with an average gradient of 7%. Our final day on the road brings us over the Col des Aravis before hitting one of the highlights of 2018’s Tour de France – the Col des Glières. We’ll stop at the WWII memorial on top of the plateau before descending (mostly!) all the way to ’The Pearl of the French Alps’, Annecy. Our hotel is right on the lake and steps from the old town, with its winding streets of cafés, shops and restaurants. 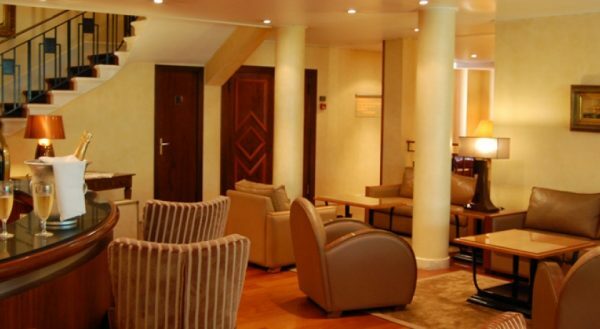 Following a rejuvenating breakfast at our hotel we’ll transfer you the short distance back to Geneva Airport for your departure. 44|5 has chosen your accommodation for the best mix of comfort, cycling services and location. You’re always within walking distance of village centers, restaurants, bike shops and other necessities. 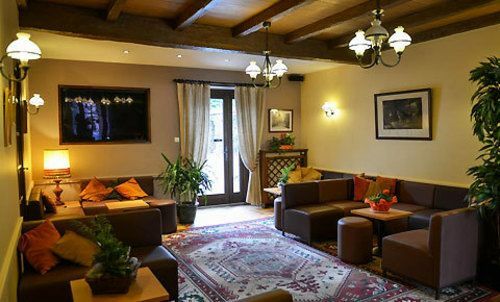 In business for over 150 years, 3-star St. Georges is our home for a night in the Maurienne Valley. 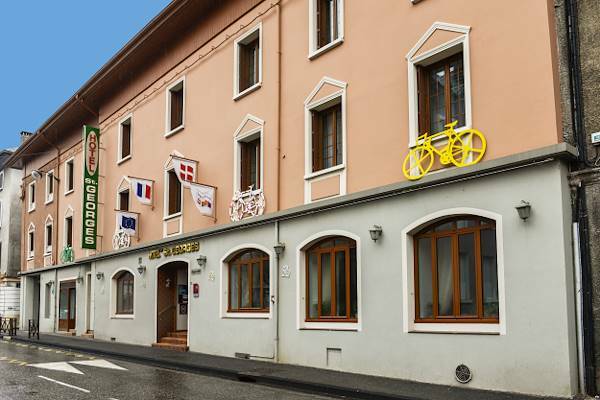 The hotel is very cycling friendly and also well located right in the heart of St. Jean de Maurienne. 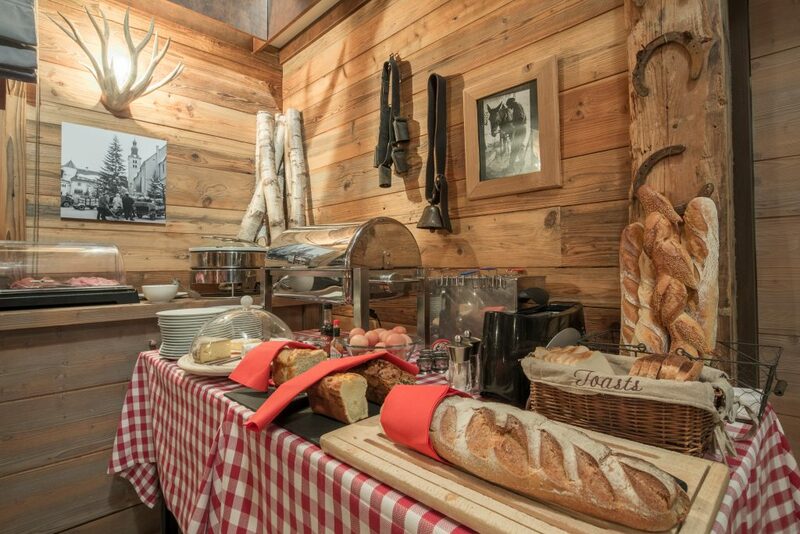 The Auberge de Savoie (3-star) sits in the ancient town (pre-Roman) of Môutiers, in the heart of the Tarentaise Valley. 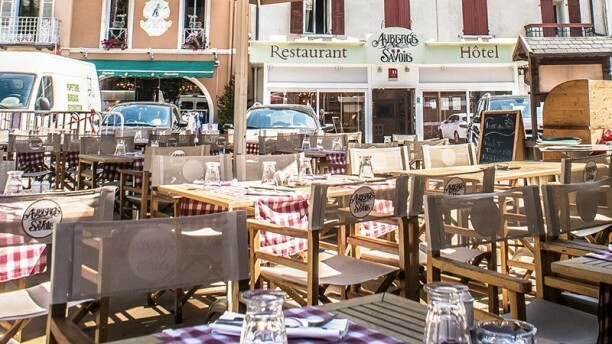 The hotel sits on a leafy square and the terrace in front is the perfect spot to relax and enjoy and après-ride drink. 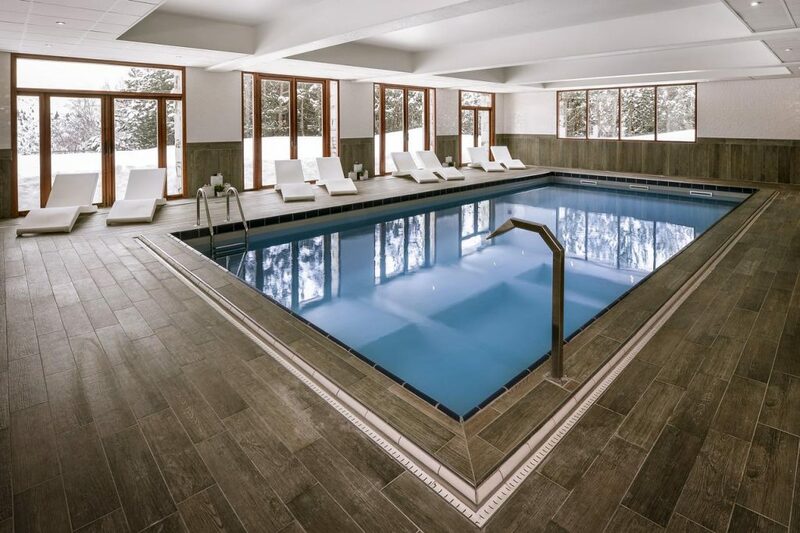 This 4-star hotel is comprised of several chalets that surround an inviting outdoor pool. 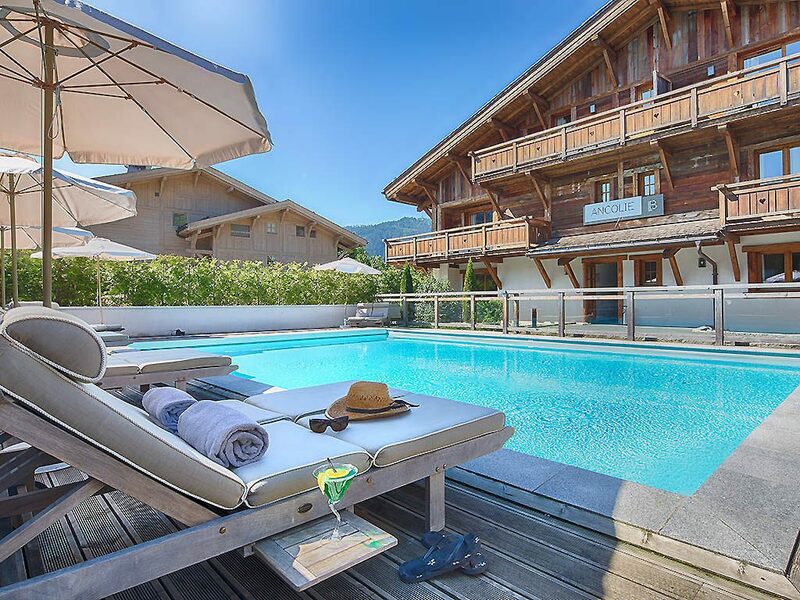 The hotel is in a quiet residential neighborhood, but only steps from the center of Megève. 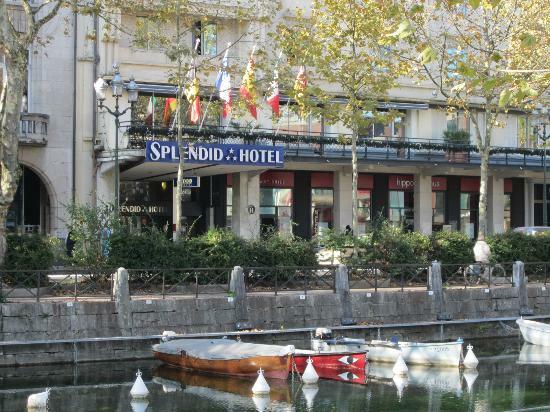 Our choice for your last night, in Annecy, is 3-star Splendid hotel. 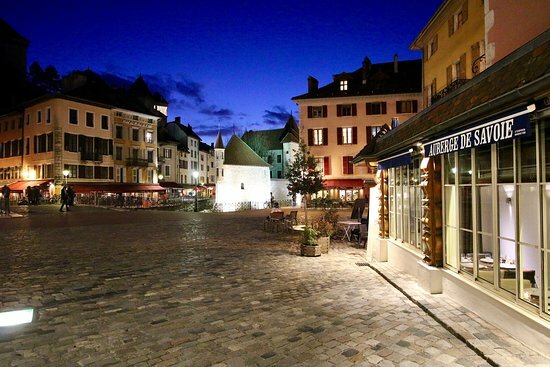 The hotel has about the best location you could ask for, being right across the street from Lake Annecy, and just at the edge of the historic old town. The area around Lake Annecy is perfect for staying on and relaxing after your bike tour with us. Annecy has some great restaurants and the old town, with its pretty canals, is a delight to wander through. If you are still hungry for more riding, you will find plenty of good roads in all directions.